Duffman, Having a bad day?? I hope that as sportsman we will take care of this and I really think the C & R is helping out. Now about the trash Last weekend I picked up a plastic gracery bag full of cans, wrappers, old propane cyl. Pi$$e$ me off that people can be such pigs. It is up to us fisherman to make sure that this does not happen. With C & R and not leaving the lake looking like a dumping ground. The reason the lakes went so bad is because there were no slot limits no catch and release and people were like what happened to the fishing. When I was younger my father and grandfather used to keep everything if it was in the boat it went on the stringer. They had a saying back then "Catch and release into the grease" That was the only C&R they practiced and it is up to me and every fisherman out there to change the attitudes or there will be no fishing in the future. There are plenty of lakes in Minnesota with plenty of fish for everyone if you use commone sense obey the regulations and don't abuse our natural recources. I've got to chime in here and put my view on this...I work for a conservation organization and I hear this issue come up very often. As I've travelled thru Canada from west to east...you don't hear a bunch of people promoting C&R. For one, it's not necessary due to much less pressure and two, the fisherman are fishing not only for the sport of it, but for some food...NOT THE STAPLE, but no intention of doing it solely for fun. Personally, I'm beyond passionate about hunting and fishing. But to see the fisheries become largely C&R, I have concerns if this is really best for the fish. I've fly fished the San Juan in NM and caught 20" trout that have such hooked jaws and torn lips, that it is sad that those fish arent harvested. Same goes for the hole punched tails of walleye's on Mille Lacs. Supply is not keeping up w/demand here and that's where science has to catch up regulations. If fishing is to become primarily C&R, you diehards that love C&R should be in for a treat because I see most as giving it up. Cost alone would drive people away. You would have to be pretty passionate to spend $30,000 for a boat etc to catch fish and put them back. Perhaps fish can withstand this and C&R isn't as much of an issue as percieved. I don't know the population dynamics of fish, but C&R doesn't work w/big game, predators etc. I think there needs to be a certain amount of harvest for genetics sake and the DNR could do us all a favor by researching which ones to harvest and set limits accordingly. I also think that the percentage of fish C&R'd during ice fishing vs. summer conditions is considerably less and not nearly as stressful to fish. I'd like to see more "liberal" limits for ice fishing...say one inside the slot on Mille Lacs or something to that effect. I whole heartedly agree w/changing season limits to accommodate the populations. Wonder what would happen if the DNR did away w/the slot and said one or two walleye limit on lakes w/overharvest issues? I was out on the ice on Mtka. Spring Park Bay a couple weekends ago with my 2-hole Frabill. Had a couple good strikes but nothing thru the hole. Still loved the experience, although it was pretty gross to watch the next guy over in his portable step out and take a whizz every hour and throw his beer bottle caps and huge dead sucker minnows onto the ice. After he left I walked over....it was yuckky. I suggest carrying everything out that you carry on. May be heavy, but think of our environment, please. Are you saying that that 20" trout would be better off dead than alive? I think that trout would disagree if it could. Also, by reducing the gene pool, how are we actually helping out that fish genetically? I'm all for selective harvest and taking some fish home, but with the ever increasing pressure on the fish, something will have to give. We will have another 30-40 million people in this country in ten years, that in itself can't be a positive for the fish populations. You don't work for PETA do you? I agree that something has to give. I just don't know what has to give. The San Jaun is a peculiar situation...avg of the fish are 17". You get above that and they're really nice. But, when they keep getting hooked day in and day out, they get really weak. I'd just like to see the ones you know aren't going to make it get harvested. Of course everybody would think every fish was going to die and harvest would go way up. Is a 20" trout better off dead...depends, if there are few of them around, no. If they're abundant perhaps they are. I'm not for lowering the gene pool, but diversity and renwing the gene pool is perhaps better for the fish, overall. I too have the concerns w/the pressure on limited waters. May end up being a rich man's game at some point. That's one way of managing the fish populations. The cost to the DNR to regulate may become so high that the cost to fish will only allow those fortunate enought to do so. I'd hate to see that. No, definitely not PETA...we fight PETA and all the other ANTI groups every day. SCI is the organization. It's primarily big game oriented and we seldom engage in fishery issues. However, we do a tremendous amount to counter PETA and other like organizations. Sorry to sound like I'm against C&R...I just think that if fishing primarily becomes C&R, it is a sad situation. Alright, I've got a better feel for where you are coming from. Point taken. Although I think hunting has and will continue to be more of a rich mans sport in the future than fishing ever will. So what do you think the future of our sport holds? In ten years will we have software that will page you whenever someone posts an online report where the bite is going down? If I get one of those pages would I be able to keep some of those fish or do I have to release them??!! HELLO FISHER PERSONS, DO NOT TAKE MY HANDLE FOR WHAT IT SAY,S. THIS 2 WAS A TOPIC STARTER. CHECK OUT THE BASS TOPIC ON 100%CR. THE GARBAGE ON THE ICE IS MY TOPIC. BEER CANS, BOTTLES,PLASTIC BAGS ETC... REALLY ARE NOT GREAT HABITAT FOR FISH. IF THEY BRING IT OUT, THEY NEED TO TAKE IT OFF. RESPECT THE WATER. GOOD DAY TO ALL. As far as idiots out there and leaving garbage and being stupid, I'm guessing their numbers will only increase or not get better. But as far as fishing opportunity goes I think it will get better. i think after the initial destruction years ago due to lack of management, it has been improving. I think fisherman are becoming smarter and more caring as far as CPR and following regs, and I think that regs that are added to create numbers and size do just that. Lets keep a positive outlook on the future, and if it takes a turn for the worst we need to do our duty by campaining to get funding and help. One thing I think will be more negative is the spread of exotic speicies, i don't see that stopping anyday now. Well put Lunker!! I don't think it is the current angler that got us where we are today, it was our fathers and grandfathers. My dad talks about a story of catching 11 and 13 lb walleyes, bringing them home and eating them. Personally, I would make one a wall hanger, the others would all go back to the lake. No fiberglass reproduction for me guys, sorry would have to be the real thing, but just one!! .....what will icefishing in Minnesota be like? Will every lake or pond be loaded with portables? Will secret lakes become non-exsistent? 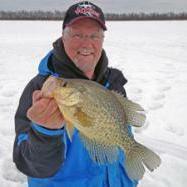 Will the terms "slab crappie" and "bull bluegills" be terms of the past? Will the amounts of trash left behind actually become a health hazard? Will the limits be lowered more and will there be enough CO's to actually enforce these limits? Will internet sites such as this actually be the main reason why fishing just ain't what it was 10 years prior? If the last five years are any indication what the future holds, well, it's probably not going to hold much fish. CPR is a good thing, not so much bad. Slots are a joke. Heh you can keep 13-15 in fish but all you catch is 16-18 inch fish. So what should the slot be. I don't know. But the garbage, If you take it out there, HAUL IT BACK. I know there has got to be someone on this site reading this that leaves his or her garbage out on the ice. Mostly i think it comes from the people that just want a place to party and are to lazy to bring it back in. Or they sink them down the holes. I go on garbage patrol everytime I'm out. But picking up after dingle fritzes get's a little annoying. Im a smoker. and If i am on the ice I use an ashtray I use the cup extinguisher style to prevent tips and wind issues. And always bring a trash bag out. even if the only thing in it at the end of the day is a pop can and some peanut shells at least it isnt on the ice. Thing like cans, glass, cigs, and trash, ect are bad. But keeping a dead minnow, or a few sunflower seeds, off the ice just doesn't seem like a big deal. I have a great deal of respect for the ecosystem. But I don't picture natural biodegradable thing such as these a hazard, and when a ya gotta go ya gotta go. Sure i dont take in a twelver and whizz on the corners of houses around but if i have to whizz while im on the lake I do it discreetly even if it means walking a couple hundred feet to avoid offending people. Im not gonna fold up my house and run to the closest quick trip. I bieleve in keeping a couple eaters, But not filling the deep freeze. I only keep 4~6 fillets in the freezer at a time. (1 meal for me and wife) Id much rather see someone else get a nice eater sized walleye (15-18) than have it freezerburn on me. I keep only what i need the rest go back. 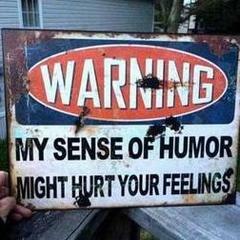 Just my 2 err 25 cents on the topic. I totally agree that people should take all of thier trash with them, if your a pig keep your a$$ in your pen. I think one thing that is and will continue to impact fishing in Minnesota is the basicially unregulated lakeshore development that we are allowing to take place on many lakes. That development brings with it lawn care which means herbicides, insecticides and chemical fertilizers along with increased runoff. It also brings other undesirable alterations to the lakes many times. Not all lakes, but I've seen a negative effect in southern and central MN in too many already. Another factor if we don't coordinate our efforts as sportsman will the influence of the antis. We had better start putting aside our differences and join forces to defeat this ill-conceived bunch. The old boys used to put on their woolens, a few extra pair of socks in their rubber over shoes, gas up the car, pick a lake and go fishing...they would take their chances. The winter anglers were regulated to how much weather they could stand, or the distance they could manually pull their homemade fishhouses made of heavy canvas and plywood, if they wanted to stay comfortable, it was firewood, or fuel oil. They would line up a tree, a silo, and a cabin on shore to triangulate a position where they had caught fish in the past. They would chop out a hole and lower their heavy, single line down and start fishing. If they were lucky enough to land a fish, experience came into play with having to hand line them in. Todays angler does'nt have to gamble a tank of gas that the fish will bite, just get on the computer, or make a phone call for an updated fishing report on just about any lake you want to fish. Go to the lake, break out the detailed lake map, and DNR fish survey info, log in a GPS setting, hook the light weight portable to the back of the 4-wheeler, or snomobile, zip out to anywhere you want on the lake, bust out the Lazer auger, punch out some holes, lower the transducer on the Vexilar and if it reads fish, lower down the Aqua-view to see what kind they are! Once it is determined that the target is down there, lower down the food scented, fake bait on the spider web diameter, invisable line, (some of which you can pull a truck out of a snow bank with, I might add!) using the dead stick. If you don't like deadlining, get the power jiggler! In the second hole, befuddle them with the action of the latest scientifically tested lure. High tech ballbearing reels, with silky smooth drags, and state of the arts ice rods, are a must. heat sources, portable heating can be in a pinch. When you catch the fish, haul him up, look him over, take a picture, do a little jig and let him go. The next guy will do it and so will the next and in the spring there will be plenty of turtle food. But, if they are that dumb, they are probably off spring of past turtle food, so it's the way it is! With all of the above said, in my own humble opinion, I believe that fishing will be just fine in years to come. Our modern equipment is fun and it makes fishing fun, we just have to use common sense. I would disagree with your statements about the development of lakeshore properties. I fish mostly in the Chisago area and all of our lakes are all ready developed, have been for 10+ years. However, the fish continue to get smaller and smaller. This is not based on the insecticides, herbicides, etc. that you had claimed it may be. These products increase the quality of the lawn that they are applied to, therefore reduciing the amount of runoff that comes from that property. Pesticides and the such do not build up in the soil, waiting for a rainfall to wash them down a hill and into the gills of unsuspecting fish. They break down and help generate healthy turf, which in turn lowers the amount of water runoff. I would believe that the reason that the fish are smaller, is quite simple. The easier / better the equipment is, the more people there will be to enjoy it. The more people there are to enjoy it, the more fish that are going to be caught. "I don't know the population dynamics of fish, but C&R doesn't work w/big game, predators etc." For one I don't believe that the sky is falling. I agree that the numbers and quality have dropped in many lakes, but many of these lakes only have fish because of stocking efforts or aereation(sp) systems put in place by us. If we were all a little less greedy and looked at fishing as entertainment, which it is, we would have a different view on this. If a lake has small fish, downsize to ultralite tackle and brag about the 14-15 inch walleye you landed with 1# test. Go out and enjoy the day with a buddy or a kid and worry less if you caught the 34" walleye or 45" pike. If all we caught was a trophy sized fish we would complain about no smaller fish too eat. I guess what I'm trying to say is lakes will have fish in them for the rest of our life time, so don't worry. Worst case..a lake is completely dead, they (dnr) restock it and 3 years later it's producing nice fish again. Has happened quite often. For all the people that want to catch the trophy fish all the time, dig yourself a pond and grow your own, or put up a fence and grow yourself the trophy buck. I'll be having more fun catching little fish and talk-ing with a buddy or one of my kids. And by the way I agree with the garbage thing, pick up after yourself! please explain then the unwanted milfoil, large unwanted unnatural weed growth in lakes? Also, please explain how 90%+ of South Central Minnesota lakes become VERY similar to pea soup each year????? Run-off might not directly equate to size in fish, but it sure as all get out effects the habitat(water in which they live). Another question, how come soo many Southern Minnesota bodies of water house panfish with large counts of "black spots"?? I personally believe 100% C & R cannot and is not good for any fishery, thus practicing knowledgeable SELECTIVE HARVEST, while having a very good understanding jsut how much you plan to keep prior to stepping foot into a stream or launching your rig into a lake! "Oh, the bite is fantastic", why not keep a limit?? Nooooo Gooood. That bite, won;t always be fantastic! Take your digital camera with and get pics of the mess, with them still there if you can a pic of them great, and include the name tag on the house and their vehicle lic #, get photos from the same spot after they leave. Now send them to the DNR with enough evidence and they may set an example of one of these dirtbags. If you have G.P.S. cord's make sure to send them also so they can go back to the scene of the crime. Also tell them that this is being documented for DNR purposes if I see someone making an outragous mess, I'm going walk right up camera in hand take photos, and if they ask I would tell them the truth as to what I was doing and tell them to have a nice day. Many will let their dogs run loose also, so there is another mess to deal with. Most will leave their spot clean I'm sure. My first post in this topic was directed to Uffdapete, when he was saying that development of the lakeshore created more pesticide/herbicide use, which in turn would make more of a smaller, lesser fish population. I believe that more maintained yards, or CRP land would be better suited for wildlife. I am by no means a farm basher. Everyone has a way of making a living, if that's what farming can be called nowdays. I think it's more of making a bigger debt, unless you're a corporate farm, but that's off topic. I look that each lake should be developed to decrease the amount of runoff around it due to poor soil conditions, or, should all be dedicated to CRP land, something. But, even that won't be the only solution, since there are many streams and rivers that feed into lakes that carry runoff from open dirt fields, whether it be farm fields, construction areas, or areas that have sustained fires or other natural events. The milfoil problem, along with mussels, etc., are not drawn into a river, lake, stream or other body of water by runoff from a farm field or a yard, but they are brought into each body of water by people using the lakes, whether knowingly or unknowingly.